Premakeerthi de Alwis Murder – Trial By Media? It is surprising that baseless and unsubstantiated accusations that Nirmala de Alwis’ has made, gotten this far. This can only happen in a country like Sri Lanka where mainstream media publishes information without fact checking. Premakeerthi was a simple man and was a program producer at the time of his death. He was not in any way an executive at SLBC. However, Hudson Samarasinghe was an executive at SLBC and had been for several years, serving as a director. Beyond Nirmala de Alwis’ defamatory statements, there is no evidence Premakeerthi – simply a popular announcer and a program producer at the time – would have dramatically changed career path to run a business as large and critical to Sri Lanka as SLBC. Her bogus claims, now repeated by Sri Lankan media outlets, are beyond doubt knowingly false and intended to injure Hudson Samarasinghe, who has spent a lifetime in service to the people of Sri Lanka. Nirmala de Alwis writes in her book writes “In a short note, then Chairman of SLBC Hudson Samarasinghe had his driver Athula tasked with the crime”. 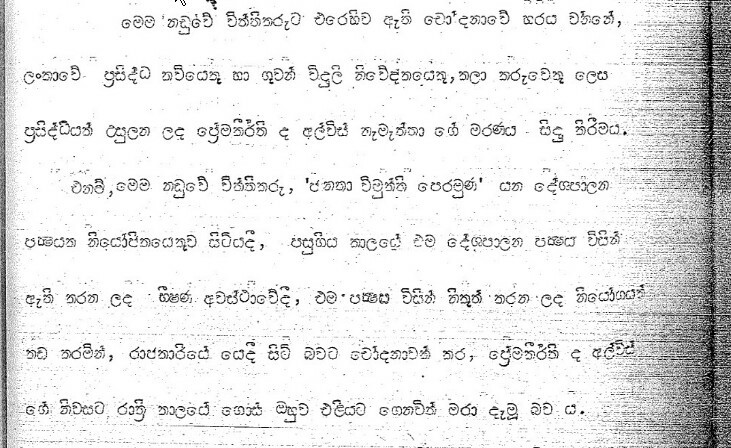 However, her facts are incorrect as Hudson Samarasinghe was not the Chairman at the time of Premakeerthi’s death. 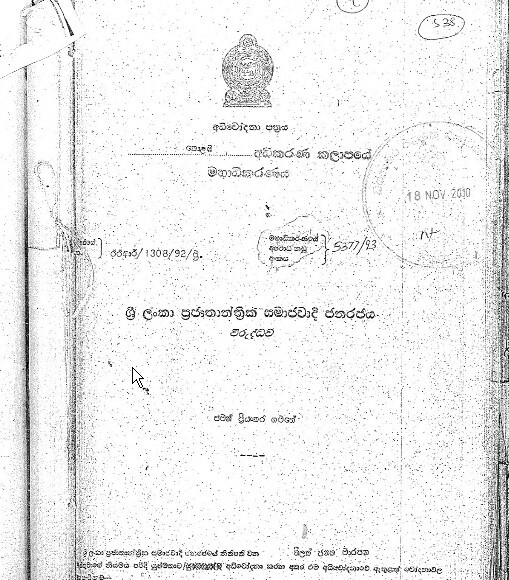 Premakeerthi was murdered on July 31, 1989 but Samarasinghe was not appointed as the Chairman until November of 1989. By checking simple voter records and other public records one can easily determine that neither Athula nor Tarawatte Ajith has ever lived in Hatewatte slums. Tarawatte lived at shanties of Maitland Crescent not Hatewatte as Nirmala claims and Athula has lived in Narahenpita not Hatewatte. Who is in their right mind would plan a serious crime like this at an unfamiliar overcrowded shanties of Hatewatte? Nirmala de Alwis has waited nearly a quarter century to concoct this bogus story. While human memory fades with time, Nirmala’s memory has renewed against the odds. According to her latest interviews, her memory has been refreshed and she identifies callers from Samarasinghe associates to her house before the murder. Nevertheless she failed to provide the information to the investigators at the time of the investigation in late 80s. Nirmala de Alwis has never officially made a complaint to the police on her own accord or filed a wrongful death suit against Samarasinghe. The police had to summon her to provide a statement about her allegations. Instead she decided to profit from her husband’s death by publishing a book. 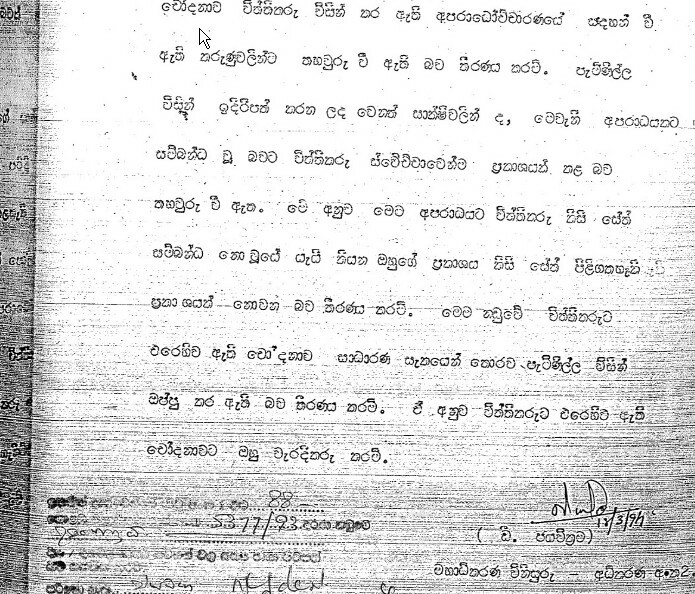 The real killers of Premakeerthi have been found guilty and sentenced in 1992 by High Court of Colombo Sri Lanka. The information and court case can by found by doing a simple Google search. The Wikipedia even hosts a copy of the court case. https://ceylonreport.com/2014/08/13/premakeerthi-de-alwis-official-court-document/ . However, no one in the Sri Lankan media took time to investigate the facts before getting on the bandwagon with Nirmala de Alwis. The verdict has been upheld by the Appeals Court of Sri Lanka as well. However, Sri Lankan media seems to conveniently ignore the facts behind this accusation for personal or political reasons that are not known at the time. 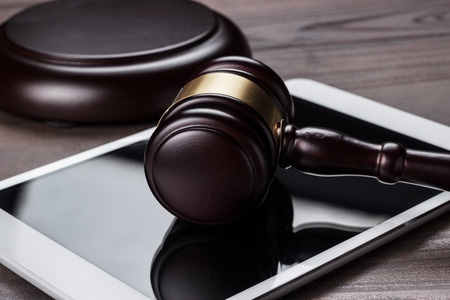 As news media struggles to capture new audiences in the Internet era, may be Hudson Samarasinghe’s lawsuits can teach a lesson of ethical and responsible reporting. The summary translation of the court documents. The accusation against the accused is, the murder of a popular radio announcer, lyricist and an artist named Premakeethi de Alwis. The accused was a member of the political party named, Janatha Vimukthi Peramuna. During the time of the said political parties’ activities of terror, he (Premakeerthi de Alwis) was accused of performing his work duties against the orders given to him by the party and was taken out of his house and murdered. The court has determined that the confession the accused has made was voluntary and other evidences have corroborated with the confession and provides further proof that the confession was made of own free will. 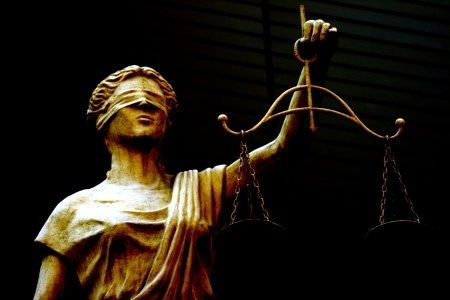 Therefore, this Court rejects the claim of the accused which states that he had no part in the murder, and this Court decides that the accusations have been proven beyond reasonable doubt and finds the accused guilty as charged.